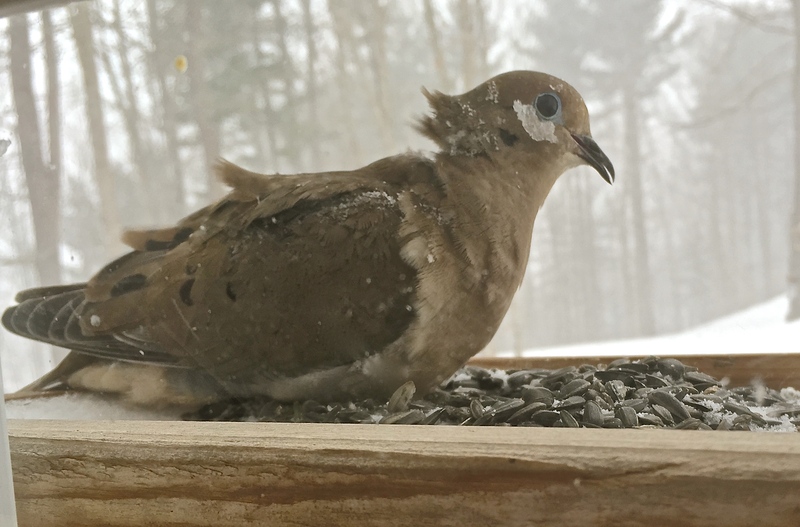 This entry was posted in New Hampshire and tagged birds, Citizen Scientist, great backyard bird count, nature, New Hampshire by Annie. Bookmark the permalink. I do love birds. We’ve had so much snow that the squirrels can reach the hanging feeders on their tiptoes. I’m filling muffin tins, reaching out and balancing them on ‘mountains’ of snow. We really can’t go out the back door. The drifts are shoulder high out there. Oh, that poor dove. All those goldfinches too. You are really getting the snowy weather. 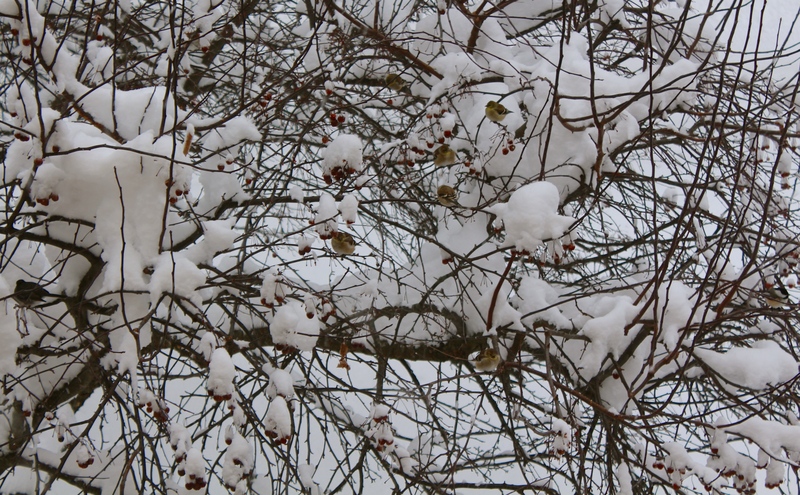 We have had up to 2 dozen finches, the same number of pine siskins and juncos. Locals tell me this snow isn’t the norm and I do want to believe them… but just in case, I’m dreaming of my old zone 7b right about now. Oh, that mourning dove looks so cold and miserable! We’re not seeing mourning doves this year, I’m sure because I no longer put out sunflower or safflower. We have to give them a little fuel to make it through this dreadful winter. We won’t see the ground for many weeks! Poor you and the cold birds! It is not easy to count them outside when there is 4 feet (and more in the drifts) of snow on the ground. There is nowhere for them to naturally find food these days. Glad to hear so many are helping them out. You need to do a follow-up blog on just how your count worked out! We can’t get out to the feeders in the yard these days. When I open the garage door to feed the birds in the morning, it’s a rush to the muffin tins. They are hungry!